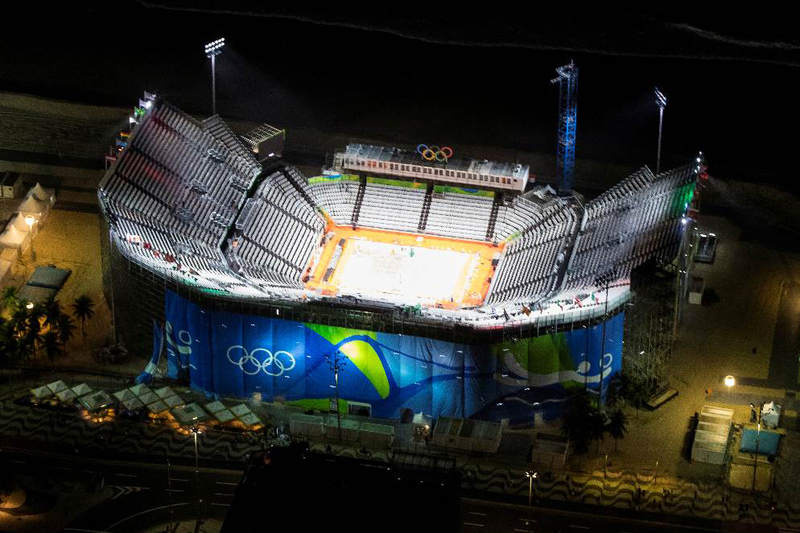 In updated imagery of 8/16/16, the Olympic Beach Volleyball Arena is seen on Copacabana Beach. August 16th was Day 11 of the Olympics and for beach volleyball it was the Men's and Women's Semi-finals. The shadows and sparse crowd on the beach confirm that the image was taken early in the morning. Also, check out Street View to see it still under construction.